Referring to a fielder's glove. Remember back in the day in middle school (for me at least) when we rocked the heck out of some pleather pants from Limited Too? Talk about the good days, amirite? It's fun to see some trends repeat themselves! Except you, choker wire necklace, you stay back. Leather was just dipping it's toes in the water last winter, but boy did it make a comeback this fall! Leather... everything! I will admit I own a few pieces myself, but this skirt was the first of its kind. This outfit is for the chiller-days... ones where it's cold, but not cold enough to cover up your legs. So with that, you wear a skirt, some boots, and your everyone's favorite vest. 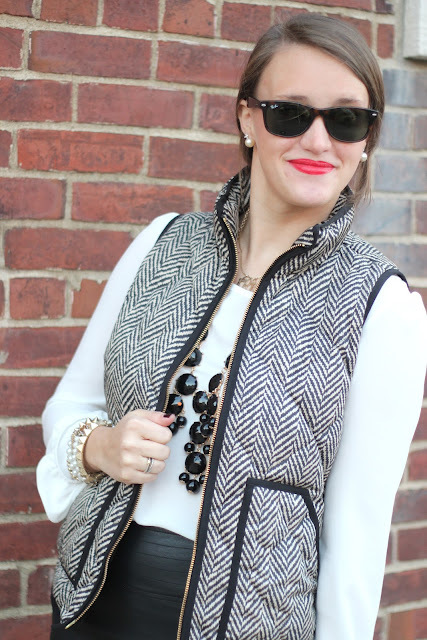 Add a blog red lip into the mix and we have ourselves an outfit! OBSESSING over that vest & skirt!! I've been dying for that vest in the color you have and the pink one!! Love how you've styled it!! 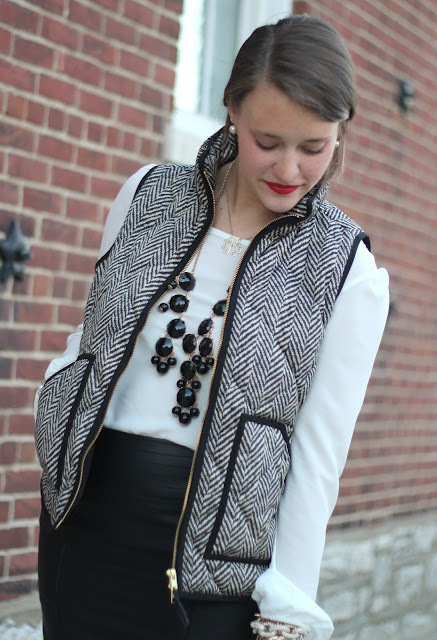 That vest is at the top of my want list!! Glad to be your newest follwoer! the vest is on sale in stores?! for how much? i just got the navy one and feel like i need every other color since i have worn the navy one every single day since i bought it. yes! 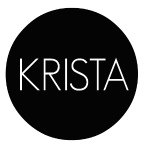 LOVE this look, krista!! FABULOUS!